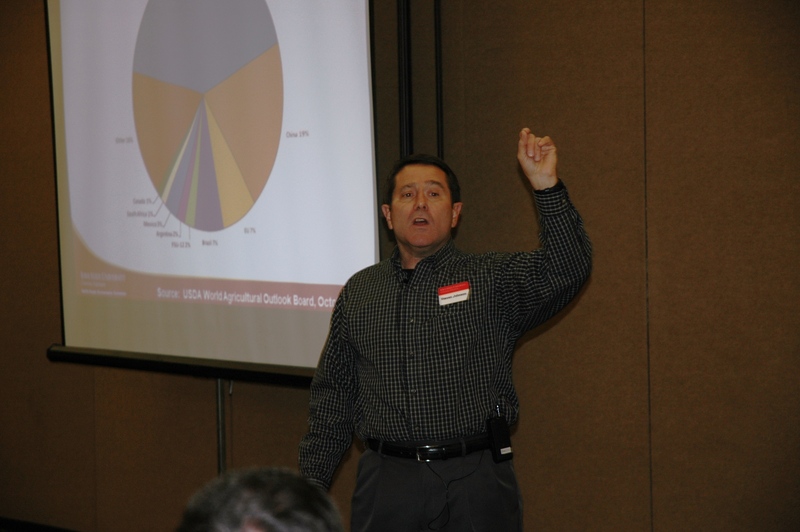 After stops in Sioux Falls, Yankton, Watertown, Huron and Mitchell during the past week, GrowingOn 2011 Part 1, with Iowa State University Extension Specialist, Steven D. Johnson has come to an end. Nearly a thousand farmers attended the events bringing plenty of questions about their crop marketing decisions. Johnson’s presentation “Controlling the Crop Controllables,” takes on a simple, yet important approach. “Control what you can control… because only God can predict the future,” said Johnson. Johnson advised the crowds to quit worrying so much about the price per bushel and concentrate more on your total production costs. Producers need to be making crop decisions year round when it comes to pre-payments for fertilizer, fuel, seed, storage and crop insurance. American corn farmers are the most productive in the entire world, producing 42% of the world’s production and that corn is in high demand. 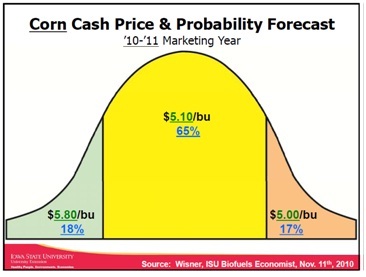 Volatile weather patterns across the globe, increased ethanol production and low carry out should keeps prices up into the next crop year. If you were unable to attend GrowingOn 2011 part 1, you can watch a similar presentation by Johnson online at the following link. This entry was posted in News and tagged corn, marketing, South Dakota, Steven Johnson.